When you are dreaming about visiting the top gambling destinations in the world but you are stuck in your home, you can always revel in top-notch casino adventures with the help of GW Casino. Although it is a fairly new virtual casino, it has definitely struck the right chord among virtual players. If you have decided to embark on the journey that GW Casino is offering, you can be sure that both your beginning and your following adventures will be lucrative and fun. The interactive casino offers great sign-up deals while regular players have chances to enjoy various promotions daily. Gambling aficionados can also take advantage of the different rewards that GW Casino is offering. This way they can enjoy various perks, given just for playing at the web-based casino. As virtual players make real-money bets, they will be awarded Loyalty Points. The more points they collect, the higher level in the interactive casino’s reward system they reach. Loyalty Points can be redeemed for the promotions at the online casino. The gaming library of GW Casino can fit the taste of both slot lovers and fans of more traditional casino games. Those who are trying to become instantly richer will also have the chance to test their luck on various jackpot titles. 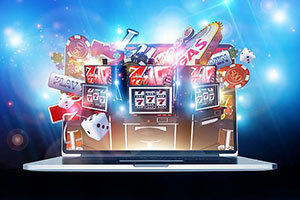 Thanks to innovative software developers such as iSoftBet, Betsoft and Play’n Go the virtual casino can offer a host of innovative and rewarding games. One of the key factors that make one virtual casino a trustworthy website is utilising safe payment solutions. This is definitely something that GW Casino can offer its patrons since it enables them to pick from several methods. All of the deposit and withdrawal options that are accepted at this web-based casino ensure fast and secure transactions. The fun for GW Casino members does not end there. Those who are constantly on the move will also have the chance to enjoy the thrilling games that the virtual casino has prepared for them. Grab your smartphone or tablet and enter the web address of GW Casino on the browser of your device. This will grant you access to the mobile version of the excellent virtual casino. Online Since GW Casino was established in 2015 and even though it has been operating for a short period of time, it definitely knows how to provide the best gaming environment for virtual players. Minimum Deposit/Withdrawal The minimum deposit that players can make at GW Casino is EUR/USD/AUD 20. If they want to initiate a withdrawal, the minimum amount they can cash out is EUR/USD/AUD 50. No Deposit Bonus Currently, GW Casino does not offer a No Deposit Bonus but you should check the promotions of the virtual casino regularly. 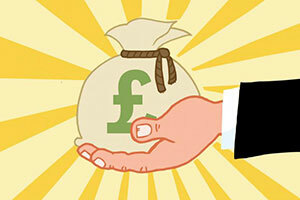 Welcome Bonus Members of GW Casino can benefit from several Welcome offers. The first Welcome Deal offers new players a 100% Bonus for a deposit of $20, a 125% Bonus + 100 Free Spins for depositing $50 or a 150% Bonus of up to $1,000 + 200 Free Spins for a deposit of $100 or more. For their second deposit of $20 or more, newcomers can receive a 50% Bonus. 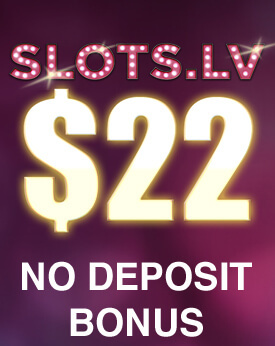 The third deposit of $20 or more can bring new members of GW Casino a 50% Bonus. Before withdrawing bonus funds, players must wager the sum of the deposit and the bonus 20 times. If there are Free Spins included in the bonus, the wagering requirements are 20 times playthrough of the deposit, the bonus amount and the winnings accumulated from the Free Spins. Players have 7 days to meet the wagering requirements of the Welcome Bonus. Mobile Monday – make a minimum deposit of $/€20 via a mobile device and claim a 35% Bonus up to $/€250. You must wager the sum of the deposit plus the bonus prior to withdrawing the bonus funds. Wednesday Deluxe – enjoy 100 Free Spins on Kawaii Kitty, Boomanji and Fruit Zen when your deposits in the previous 7 days equal $/€100 or more. After claiming this promotion, you can make an additional deposit of $/€50 and get another 100 Free Spins. 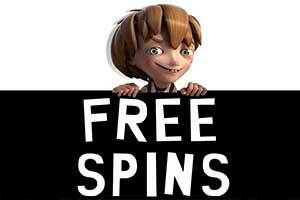 You can withdraw your winnings from free spins after wagering them 20 times. 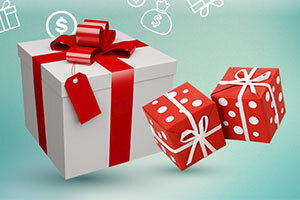 Monday Booster – get a 25% Bonus on a minimum deposit of $/€20 every Monday. Wagering requirements – 20 times the deposit + bonus amount. Sunday Lounge – log into your account every Sunday and claim the exclusive offer GW Casino has prepared for you. 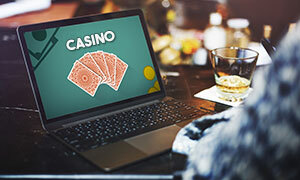 Loyalty Programme Members of the virtual casino can enjoy Casino Rewards for making real-money bets. There are 4 levels in the Loyalty system of GW Casino and each of them offers bountiful prizes and perks. 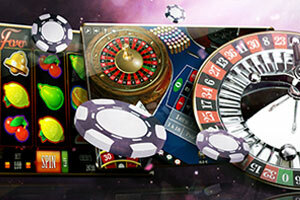 As you collect Loyalty points, you advance in the Loyalty Programme of GW Casino. You will enjoy better benefits that come along with every new tier. Sofware GW Casino relies on several software providers for its wonderful gaming collection. Among the companies that have powered the fun and rewarding games at the web-based casino, you will see the names of BetsSoft, iSoftBet, Play’n GO. This guarantees that every player will have an amazing time while enjoying the games of GW Casino. Popular Jackpots Members of GW Casino will be presented with a handful of options that offers the chance of winning a great cash prize. Some of the popular jackpots at the web-based casino include titles such as Abolsute Super Reels, Mona Lisa Jewels, Super Lucky Reels and Neon Reels. Game Types Virtual players will have an exciting time exploring the gaming library of GW Casino. In order to please its patrons, the interactive casino has prepared a plethora of classic and video slots. Fans of table games such as roulette, blackjack, baccarat and poker will also be pleased with the options they will be presented with. For those who are looking for a way to make their online gaming more exciting, there are also plenty of jackpot variants at GW Casino. Live Casino Unfortunately, GW Casino does not offer Live Casino games. Mobile Casino To make the adventures of interactive players even more exciting, GW Casino is fully compatible with a majority of mobile devices. 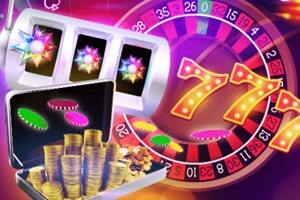 You can simply load the virtual casino on the browser of your smartphone or tablet and enjoy numerous fun games. Deposit Methods At GW Casino, players can pick from several safe, convenient and fast deposit methods. Online players can decide to top up their gaming balance via VISA and MasterCard-branded credit/ debit cards, UPayCard or a prepaid card by Neosurf. Currencies Players can choose to set their gaming account in EUR, USD or AUD.This way you can pick the currency whihc is most suitable for you. Language Unfortunately, the online casino is available only in English. Support If you are looking for a fast solution to any issue you might be having while playing at GW Casino, you can use the Live Chat option to talk to the web-based casino’s representatives. You can also send your queries over an email at support@gwcasino.com. In no time, you will receive helpful information about any of your concerns. Licences GW Casino holds a license issued by the Government of Curacao which allows it to operate and offer its services. If you decide to become a member of GW Casino, you will have the chance to explore a wide variety of gaming options, ready to please every type of casino aficionado. Since some of the most innovative software companies have provided their games to the virtual casino, you can be sure that every title in its library can provide a high-quality, gripping and rewarding adventure. If you cannot find the game you are looking for, you can use the search bar to type its title. This way you can easily filter all of the gaming options at the online casino and pick the one that will suit your taste. Thanks to the variety of games that GW Casino has prepared for its patrons, slot fans, as well as players who prefer casino classics, can get pleasure in making real-money bets online. The most convenient thing about GW Casino is the fact that you do not have to install any additional software in order to enjoy the plethora of fun games it provides. 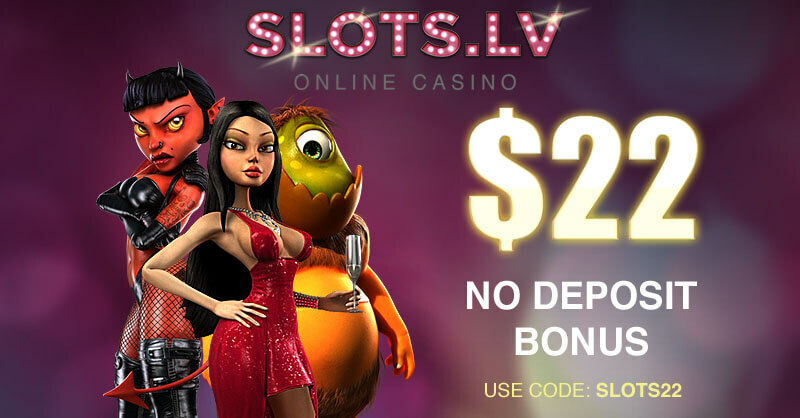 All you need to do is open your browser, load the virtual casino, open an account and log into it. This will grant you access to numerous games that are ready to entertain even the most demanding player. What is more, GW Casino is fully compatible with portable devices. This way you can relish your casino adventures anytime and anywhere. It cannot be denied that slots are popular at land-based casinos. 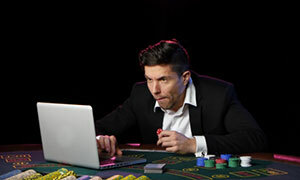 Their true charm, however, can be seen at the majority of web-based casinos. GW Casino is definitely no exception to this rule. As you will see, as soon as you load its website, there are numerous slot titles available for fans of the game. For those who are more keen on spinning just 3 reels, like in the old times, there are quite a few classic slots available at GW Casino. This type of games can entice any player with their traditional looks and great payouts. If you want to unleash your inner slots enthusiast, you can do it by playing Monkey 21 powered by Tom Horn Gaming, Wild Diamond and many other titles inspired by traditional slot machines. You cannot consider yourself a proper virtual gambler, however, if you do not test your luck on a few video slots. You will discover that at GW Casino, there are plenty of titles that have more than three reels and offer multiple paylines. In addition to that, this type of slots often entices players with various special symbols and bonus features which make every spin more thrilling. A few of the titles you might enjoy include Kawaii Kitty, The Tipsy Tourist and Boomanji, all powered by Betsoft. The list of innovative and lucrative slots is pretty long and you are guaranteed to have fun while exploring it. Roulette has always been and will remain one of the classics of land-based casinos all over the world. This fact is also true about many gambling websites as well. This is why virtual players will also be able to pick several roulette options at GW Casino. This way they will have the chance to revel in authentic casino experience without even stepping outside their homes. For those who enjoy the classic European roulette with only 37 pockets on the wheel, there are several versions of the game at GW Casino. Gaming developers such as Tom Horn Gaming, Betsoft and iSoftBet have powered the games in this category. All of the options share classy design and amazing graphics, while their different betting limits are capable of fitting the preferences of both high-rollers and low-stake players. For those who prefer the riskier double-zero version of the game, there is also American Roulette powered by Tom Horn Gaming. 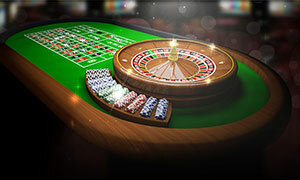 In order to make the online gambling of casino enthusiasts even more gripping and rewarding, there are also versions such as Roulette VIP and 3D Roulette, provided by iSoftBet. These titles offer a different way of playing roulette and can reward players with higher payouts which can suit perfectly those who enjoy making higher stakes. It is always exciting to embark on gambling adventures at GW Casino. Just like roulette fans, blackjack enthusiasts will also have the chance to play several virtual version of the game at this top-notch web-based casino. If you head to the Table Games section of GW Casino, you will notice titles such as Blackjack, Blackjack Multihand, Double Exposure Blackjack and Perfect Pairs Blackjack. 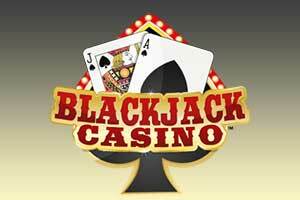 The last one offers players more chances to win on blackjack by presenting some additional betting options. Software developers such as Realistic and iSoftBet have made sure that fans of the game of 21 will be able to join several blackjack tables that are very similar to those used at snazzy brick-and-mortar Vegas casinos. You can be sure that every blackjack options available at GW Casino will attract players with crisp graphics, classy design of the table layout and advance wagering features. Amazing graphics, various betting options and wagering limits will give you the chance to pick the title that will perfectly suit your taste and needs. Other exciting card games that you will also be able to play at GW Casino include Casino High Low, Poker Pursuit, Stud Poker 3D. This is a pretty interesting casino game and your online gambling experience would not be the same if you do not try your luck and skills on the several video poker versions that GW Casino has in store for its members. If you happen to know something about standard poker and you are a fan of slot machines, then you surely will enjoy playing video poker. If you learn how to use the best strategy, you might actually tilt the balance in your favour and enjoy some great payouts. Although this category of casino entertainment has fewer options to offer, casino members will still have the opportunity to explore some of the most popular video poker variations. After all, some lucky and skilful players might actually become richer thanks to the titles that fall under this category. At GW Casino players can get a kick out of playing games such as Double Poker and Joker Poker. No matter which one you will choose, you will be able to enjoy your virtual gambling to the fullest and maybe even land amazing payouts. If you are looking for a way to make your casino adventure more diverting, you should definitely try winning one of the jackpots that GW Casino is offering. This way, you can make a small bet but win a massive prize in return. Thanks to the progressive jackpots of this virtual casino, players have the chance to win the constantly growing cash prizes that can make your casino experience a lot more rewarding. If you head to Casino Jackpots division of this online casino, you will see a long list of exciting slots that reward massive prizes for landing a winning combination. If you are eager to test your luck and hopefully win a great jackpot reward, you can play Absolute Super Reels, Ultimate Super Reels, Mona Lisa Jewels, Super Lucky Reels, Neon Reels or any other of the fun progressive titles offered at GW Casino. It is worth keeping an eye at the progressive games available at this interactive casino as their jackpots may very easily reach a few millions. This way it may reward you with a massive prize if you decide to try your luck on the progressive jackpot variants of GW Casino. Do I Need to Install an Additional Software to Play the Games at GW Casino? No. You can simply log into your gaming account through the web-browser on your desktop or even mobile device. There is no additional software that you will have to download and install in order to have access to the games of GW Casino. What you will need to do, however, is installing the latest version of Adobe Flash plug-in which will ensure that all of the gaming titles at the virtual casino will run smoothly on your desktop device. Can I Play the Games at GW Casino For Free? Yes. You can choose whether you will make real-money bets at GW Casino or simply play for fun. Players can enjoy a host of fun games at GW Casino for free. This way you will be able to grasp the betting options and the gameplay of each title that is offered at the interactive casino. How Do I Advance in the Loyalty Programme of GW Casino? There are 4 tiers in total in the Loyalty Programme of GW Casino. The system is based on the Loyalty Points that players receive when they make real-money bets. The level you are at depends on the number of points you have collected. If you have anywhere between 0 and 1,000 Loyalty Points, you are at the Bronze level. To reach the Silver tier, you need between 1,001 and 2,500 points. The Gold level is reached when you have collected from 2,501 to 5,000 points and the last Platinum tier is for those who have over 5,000 points.